As always, a wonderful page! Merry Christmas to you too! I like all the different coloured fish, I can only recognise a couple, it looks fun to do. Like Cathy, I like the different coloured fish. Green fish for dinner? Lovely scene! You are on a home stretch now, only 4 more to go. Great work altogether! Beautiful! 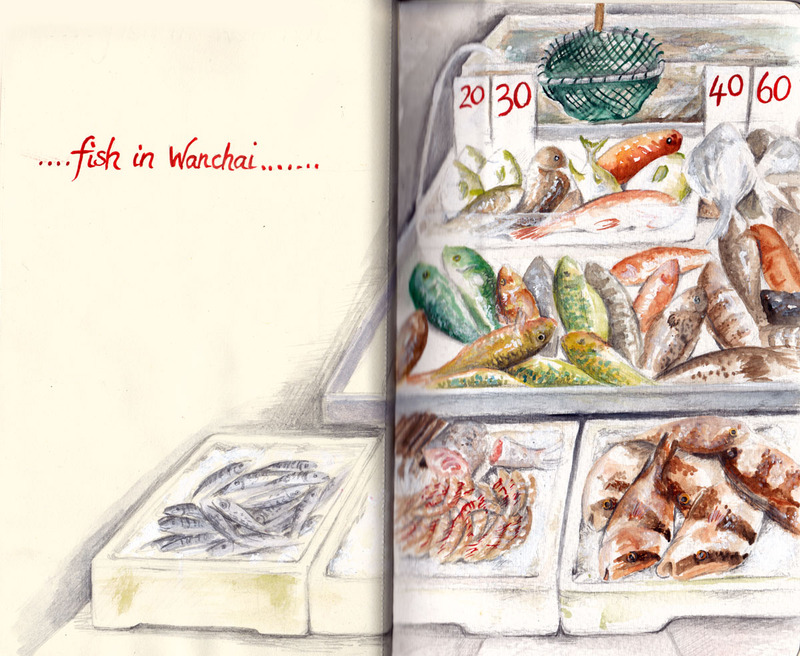 Love the subject, too, and that you used so many colors for the fish. As a kid, I hated going to fish market with my mom... they are always wet and they are always smelly... but now that I don't have to do that anymore, I kinda miss it. 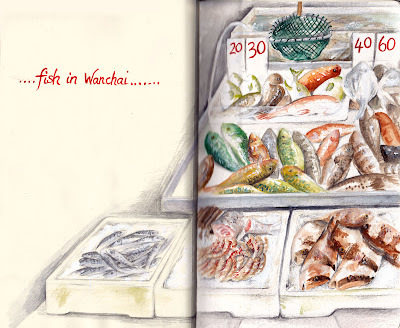 It's a very well depiction of a typical asian fish market... and my memory. Beautiful work Debra!